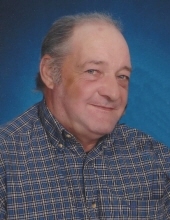 Everett Leroy Baker, 71, of Montrose died Saturday, January 19, 2019 at Lexington Square in Keokuk. He was born June 25, 1947 in Beardstown, IL the son of Elbert Earl and Sarah Francis Molbey Baker. On December 3, 1971, he was united in marriage to Nancy Mae Smith in Beardstown, IL. She survives. He is also survived by two daughters, Lisa Hunkeapillar (Bobby) of Montrose and Amy Calhoun of Macomb, one son Ricky Baker of Montrose, seven grandchildren, Alyssa Hunkeapillar, Desiray Hunkeapillar, Aaron Baker, Mason Baker, Halie Abernathy, Katelyn Calhoun and Kendra Calhoun, one great granddaughter, Alexis Hunkeapillar, five brothers, Elbert Baker (Nancy) of Glenwood, IL, David Baker (Carol) of Beardstown, IL, Kevin Todd Baker (Michelle) of Taylor, MO, Michael Baker (Charlene) of Lebanon, MO, and Leon Baker (Debbie) of Cuba, IL, one sister, Judy Griggs (Don) of Humboldt, TN along with many nieces and nephews. He was preceded in death by his parents, two grandchildren, Katie Hunkeapillar and Justin Abernathy and a sister, Barbara Baker. Leroy was a veteran of the United States Army and proudly served during Vietnam War. He was a member of the American Legion Post #41 in Keokuk. Leroy had been employed by R&J Decaling in Ft. Madison, IA. Everett enjoyed spending time outdoors fishing and hunting. He loved putting together model cars and making go carts and mini bikes. A funeral service was held at 11 a.m., Thursday, January 24, at the Vigen Memorial Home in Keokuk, IA with Pastor Elaine Foley. Burial with military rites was in the Montrose Cemetery in Montrose, IA. Visitation was held after 1 p.m., Wednesday, January 23, at the funeral home with family meeting with from 6-8 p.m.
"Email Address" would like to share the life celebration of Everett Leroy Baker. Click on the "link" to go to share a favorite memory or leave a condolence message for the family.